Yoga girl meets tall, dark, and ancient magical being. Thea didn't think much of the fantasy world or at least she didn't before she started seeing it for herself. When strange creatures watch her on the street and she begins to see fangs and colors from the corner of her eye, Thea sets out to uncover a truth that will change her life. Faeries are real, and she is about to be dragged into their world. Will a blossoming romance keep her afloat in a world of magic and fae, or will a darker plot lurking under the surface pull her down? For better or worse, the next changeling is born. 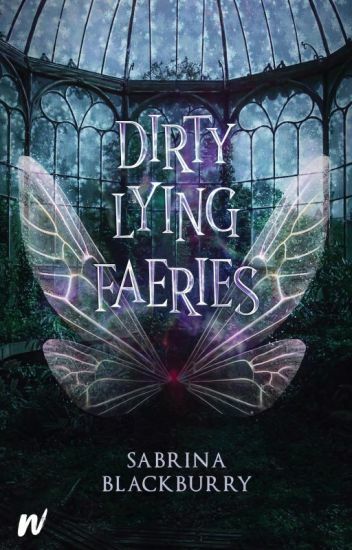 Book One of the Dirty Lying Creatures series. Sassy witch meets powerful dragon... and pulls him right out of hiding. Dani is in deep trouble when Apollo, the most terrifying vampire to walk the night, puts out a bounty for covenless witches. On the run, she narrowly escapes capture only to jump out of the frying pan and into the fire. Will a certain dragon be able to protect her, or will the fire consume them both? Book Two of the Dirty Lying Creatures series. Anders is a moody magic-user with few friends and an electric temper. Jak is a thief by trade with more than a few tricks up his sleeve and a pocket full of treasures. When someone is playing a deadly game in the prison they call a magic academy, Jak and Anders will have to team up to solve the mystery. Princess Annika of Tuviel has been betrothed to the Crown Prince of Liris for two years. Theirs will be the first ever Royal Marriage between human and fae. Annika isn't very fond of her husband-to-be, but the alliance being formed between their kingdoms is much more important than her unrealistic dreams of marrying for love. But on the day of their long-awaited wedding, Prince Castor decides he can't go through with it. Luckily, his half-brother Lysander is there to step in before the King of Tuviel declares war between their kingdoms. Werewolves and humans have co-existed peacefully alongside each other for a number of years in a world torn apart by  the third World War. That is, until an organisation called the Ravi emerge who are dedicated to the eradication of the lupine race. The key to winning the war comes in the form of an asylum patient who has been engineered beyond the point of recognition. For Nova, the last eight years of her life have been spent locked in a padded cell and prodded with needles. She has no idea why they are transforming her into a monster. In her mind, the only monsters are the ones who linger late at night and prey on gullible humans. Especially the wolf who claimed her in the dark of night and then left her to a life of pain. Nova has no idea who that wolf is, or that he has spent the last eight years grieving over the loss of his soul-mate, a woman he had only spoken to once. The race to control New America begins when one night, the Ravi's weapon escapes, signalling the beginning of a new age of rulers. ... for a moment I thought that everything was back to normal, that I was okay. But then it came crashing down on me. Blood was valuable. Blood was life. The loss of blood had a price. A high one. A long time ago, Ultimates could rule the world, after all, they were built too. However, gangs have replaced their once significant standing in the last three cities on earth. Frankincense City is now ruled by violent teens, Atlantis is run by a military coup and Avalon is ruled by Jessica 'Red'. 7 long years have passed since the once formidable gang of Ultimate Super Soldiers, STRIKE, were once feared around the globe for their power and influence. Now, they're under 'Red's hands; as broken pets who lost their greatest love and the only child they had to look after. Little do the members of STRIKE know that their first love is alive and coming to save them. After 7 long years, STRIKE may just get to break free of their personal hell... only to step right into a new one. Because their once subservient girlfriend is no longer a door mat. Instead, she is now the most dangerous woman on the planet. Ten for Beware Of Slade. "You have a choice," I looked at him and his men with angry eyes but he only chuckled, "choose wisely," he nodded his head towards the hybrid who stood next to him in silence and even with the gun on his head and a knife at his throat, he was as calm as ever. "Aulora," my eyes fell on my hybrid as he slowly shook his head, causing the knife to cut through the skin on his neck and letting the blood flow out. His hard facial features commanding me to let him be the one who greeted death tonight. The cold wind blew past me as the moon lit the cliff my conflicted self was standing on. I stared at the people standing in front of me and then at the dense forest behind them, where I didn't miss a witch waiting to kill us both as soon as her alpha gave her the command. For the last time, I made eye contact with my hybrid, "I willingly will be death's guest tonight," walking back to the edge of the cliff, I jumped. The last thing I heard was a victorious laugh and a growl filled with rage. Hello readers, this is my first werewolf story but I do guarantee you that this story would be worth reading. I promise. So kick the votes, comment your thoughts and follow. Don't forget to fan and share. Nineteen year old Tristaine lived a life of bitterness. When her mother abandoned her family and her father began drinking instead of caring for anything else, Tris discovered the only thing that truly brought her happiness: the sea. It called to her like a lover, and flowed through her like a life force. But when her only peace is threatened to be taken away, Tris realizes there is nothing she wouldn't do to remain with the ocean. Even if it means taking her own life to do so. But the sea isn't done with her -not yet- and Tris soon finds herself submerged in a world where love, betrayal, and honor stand stronger than any other force of nature.